A big FU Samsung for disabling the Dual-SIM+SD-card mod on Android Pie for NoteFE. You guys should all remember that S6 got 3 major upgrades. From stock 5 to 6-7-8. So why S7 shouldn’t? Why S7 Edge don’t get Pie ? Someone still using original Note 7 ? How it is working in 2019 ? How you blocked updates ? My old S7edge should receive Android Pie too… even though it has already received two major upgrades I greed for one more!! S7edge is an awesome device.. fully capable of handling the OneUI. But that will trip Knox and therefor disable many features, including SamsungPay. Can you share the post/link with that notice? Will it come to S7 serie? 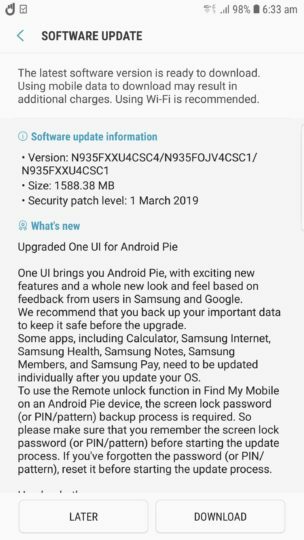 Google is releasing Android Q for their 2016 line-up and Oneplus is releasing Pie for their 2016 line-up (3/3T). Come on Samsung, since you have made already the effort to port Pie and One UI on that chipset, it shouldn’t be that much of an effort to essentially copy-paste the source code to the S7/S7E. OEMs start to realise that 2 years of major updates just won’t make the cut anymore. Why are you acting like you’re not listening? You have a great opportunity with nearly zero effort to release this update, don’t waste it. Well it’s in their interest to make S7 (already 3-year-old) users upgrade to the S10/S9, so why not make them? They did not change their upgrade policy anyway nor can I see them doing so in time for the S7 to get Pie officially. My phone note 8 has not yet received a pie update why?? Didn’t the Galaxy Note 7 come out the same year as the Galaxy S6? That’s basically ancient in Samsung’s terms. 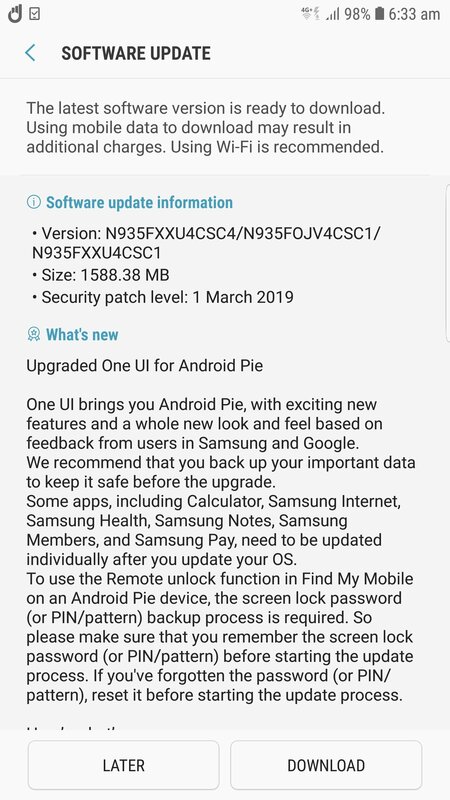 I’m surprised they updated it to Android Pie. Does this mean the Galaxy S7 has a chance of receiving Pie as well? Or is Samsung just supporting the faithful FE owners? No, it didn’t, the Note 5 came out with the S6. They skipped Note 6 and brought out Note7 with S7. It can be confusing I know!, I think they should update S7 to Pie, as the chipset is the same as the Note FE, but on the other hand it’s almost a year older than the FE. Oh you’re right, I totally forgot the Note line used to be 1 behind the S. This makes more sense now. Samsung upgrading S7 to Pie would be awesome, the phone is still very capable, just the UI looks outdated. Definitely agree. The S7 is a very nice phone. I used the S7 Edge as a replacement for my Note7 until Note8. I use the sPen for work so I held on to the Note5 too. Traded them in with Samsung against the Note8. 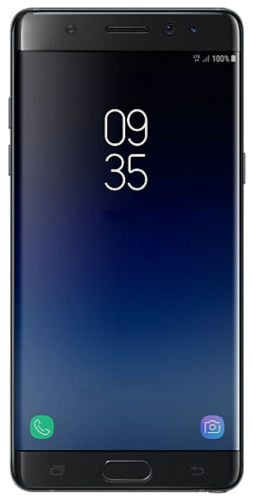 One UI will look very good on the S7 Edge. It would be a nice surprise, fingers crossed, though I wouldn’t hold my breath. I am still surprised they gave NoteFE the Pie update, because it’s not really flagship phone when it was released, and only available in very few markets.